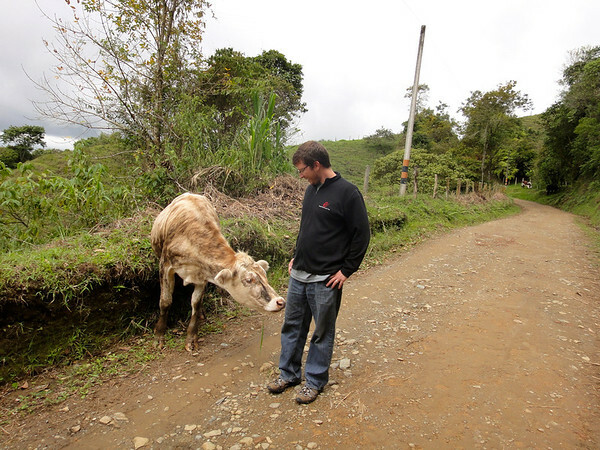 We recently had the opportunity to take a tour of a local coffee farm in Salento, Colombia. It all started with a 45 minute walk which was an adventure in itself. We encountering 6 or 7 cows roaming in the street. This one liked Dusty, like most animals I’m finding. 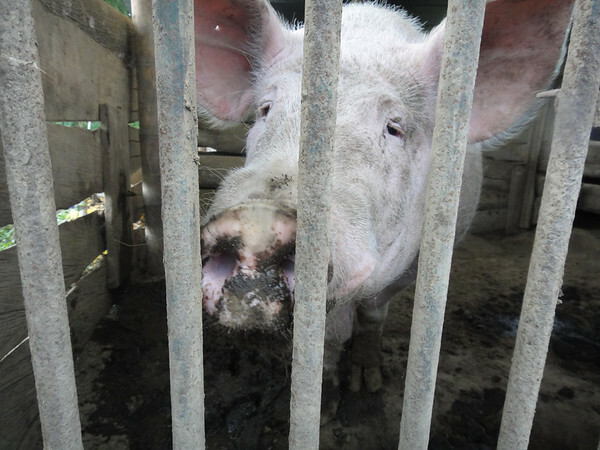 We finally made it to the farm and wandered down a path past a neighbor’s pigs and chickens. 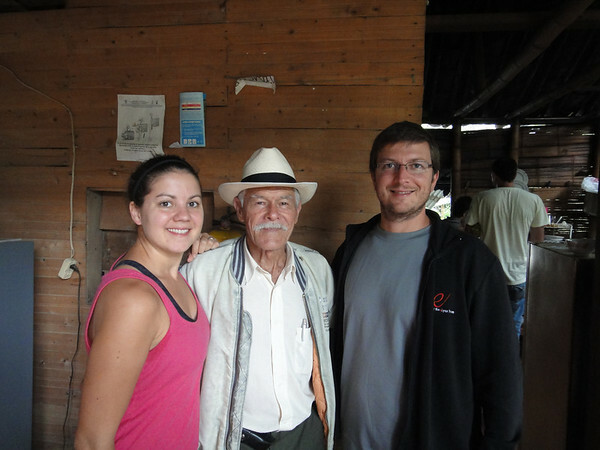 Our tour was very informative thanks to our guide, this Colombian farmhand. He spoke spanish slowly, but still we struggled. Luckily our hostel owner, Jonathan, was there and gave us some colorful commentary, I mean translation. 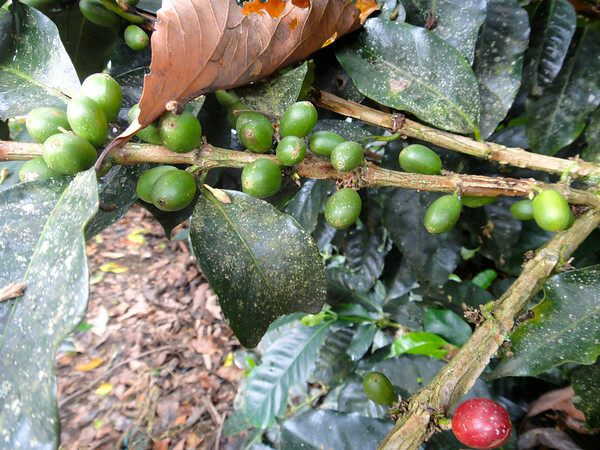 We learned that coffee is 100% organically grown and harvested in this region. 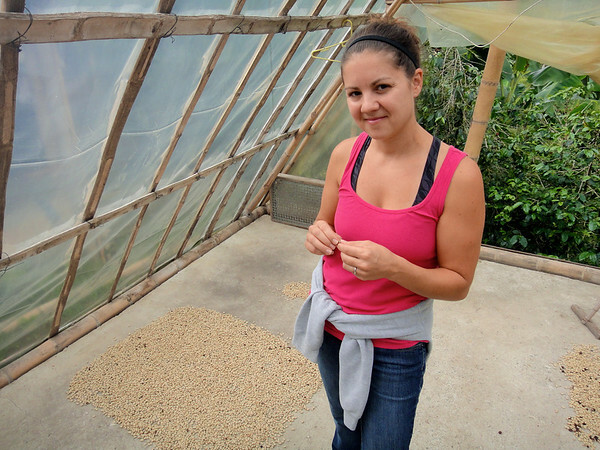 The beans are harvested twice a year and the plants last up to 17 years! They then showed us how the skins of the bean are removed and then dried in these tents. 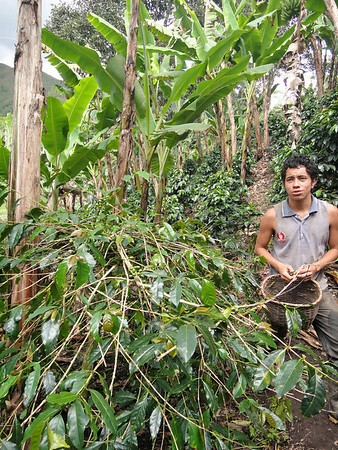 Finally, they sell the beans in Armenia, Colombia or grind it up for their own consumption. We were offered fresh (really fresh!) cups of coffee which were delicious! It’s things like this are making this trip really worth it. We really enjoy collecting these experiences we normally couldn’t enjoy at home. Thanks Don Elias!